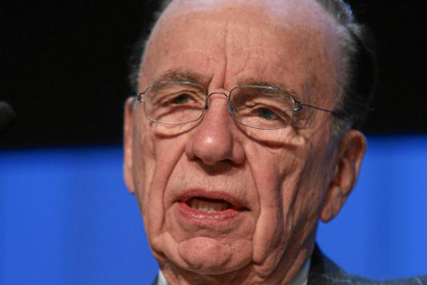 News Corporation is continuing its damage limitation exercise as the Murdochs agree to meet MPs, Rupert insists only "minor mistakes" have been made in its handling of the crisis and the company plans a weekend print campaign with rivals. Rupert Murdoch: News Corp has handled the crisis "extremely well in every way possible"
Yesterday the Murdochs were issued with summons to appear in front of the Commons Culture, Media and Sport Committee, after declining an initial request for them to attend, to account for the behaviour of News International. In a statement last night the Commons Culture, Media and Sport Committee said it had received a letter from James Murdoch in response to the summons served on him and his father confirming both men will now attend. Eighty-year-old Rupert Murdoch is chief executive and chairman of News Int parent group News Corporation, while son James is deputy chief operating officer of News Corp and chief executive and chairman of News Corporation (International). In an interview with News Corp-owned The Wall Street Journal today Rupert Murdoch made his first significant public comments on the crisis. He said News Corp has handled the crisis "extremely well in every way possible" making just "minor mistakes". Murdoch attacked former prime minister Gordon Brown, who claimed News Int reporters had obtained phone and other information about him and his children illicitly. Murdoch said: "He got it entirely wrong." The Browns were "always friends of ours" until The Sun withdrew its support for Labour at the next election, Murdoch added. Murdoch senior also dismissed reports he planned to sell his UK newspapers describing speculation as "pure rubbish. Pure and total rubbish....give it the strongest possible denial you can give." News International has also been in discussions with the other national papers about the possibility of advertising over the weekend. The ads have not been booked but if goes ahead it is likely that it will run in most national newspapers. It is not known whether the ad campaign will be apologetic in tone or will come out on the offensive. A spokeswoman for News Corp declined to comment on the ad campaign. Over the last two weeks News Corp has been engulfed by a crisis following revelations about the extent of alleged phone hacking and payments to police at the News of the World. Last Thursday News International made the shock move of announcing it was to close the News of the World, referring to it as a "toxic" brand, and on Wednesday News Corporation pulled out of its bid for BSkyB, citing the current "climate". Rebekah Brooks, chief executive of News International and a former editor of the News of the World and The Sun newspaper, had already agreed to attend. All three executives will now face MPs in Parliament at 2.30pm on Tuesday 19 July.